Today’s post comes from Kate Meredith. Kate is a former middle school and high school teacher who considers herself a virtual person in the Sloan Digital Sky Survey database. She has been involved with pilot testing, writing and training teachers to use the database for the past twelve years. Kate will be facilitating this teacher workshop at the Adler Planetarium in Chicago on October 11th. In the past ten years there has been an explosion of internet-based citizen science research in astronomy. Hundreds of thousands of people have contributed to scientific research through Zooniverse projects. Participants in Galaxy Zoo, Sunspotter, Planet Hunters and more have been so active that educators and scientists needed to develop new ways for participants to explore beyond the focus of any one project. The result is a whole host of new web-based tools designed to assist citizen scientists in exploring vast quantities of astronomical data on their own. The Sloan Digital Sky Survey (SDSS) has been part of the Zooniverse since the beginning, contributing millions of images in four separate projects. The SDSS itself has been providing web-based tools, activities and resources to educators through the SkyServer website since 2004. Check-out this video for more information about SDSS education resources. On Saturday, October 11, 2014 the Adler Planetarium in Chicago will host a free all-day workshop giving an in-depth look at a new SkyServer education website, Voyages, Zooniverse web tools and the ZooTeach lesson and resource repository. This free workshop for Chicagoland educators is appropriate for 9th-12th grade teachers or middle school teachers who work with advance students. Participants are asked to bring a laptop or tablet in order to fully participate in activities. Lunch will be on your own, so please bring a bagged lunch or plan to purchase in the Adler’s cafe. The first five participants that sign up for this workshop will receive a coupon for a Saturday Tour at Yerkes Observatory in Williams Bay, Wisconsin where they can pick up one of the large SDSS telescope plates that you will learn about at the workshop. Two days ago the Zooniverse Teacher Ambassadors Workshop concluded. It’s been an exhilarating, challenging, exciting and utterly exhausting couple of days, but in that good and really satisfying way. Fifteen classroom teachers and five informal educators from around the United States (and one from Ireland!) gathered at the Adler Planetarium for what I like to call “Zooniverse Bootcamp”. Planning this two-day event took a lot of time and energy but fortunately Laura and I had plenty of help. This summer we’ve had the great fortune to be working with Julie Feldt. Julie is interning with Zooniverse as she’s finishing up her certificate in Museum Studies from the University of Michigan. Jennifer Gupta, the Outreach Officer for the Institute of Cosmology and Gravitation at The University of Portsmouth, also joined us for the workshop and the week leading up to it. Four pairs of hands are so much better than two! 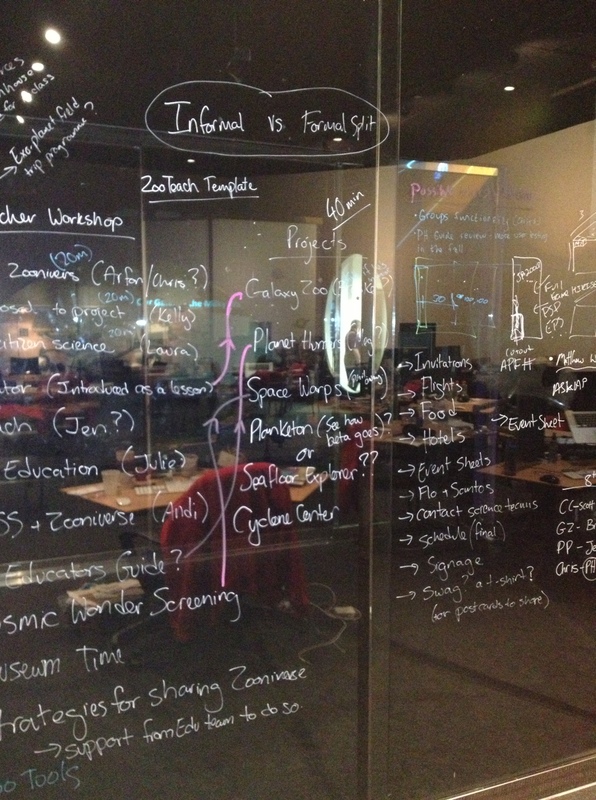 Getting organized CSI style, by writing on the glass walls of our office at the Adler Planetarium. Last week began with a scramble to make sure all of our ducks were in a row. Internal and external catering arranged? Check! Workshop spaces booked at the Adler Planetarium? Check! Workshop participant hotel and flight Last week began with a scramble to make sure all of our ducks were in a row. Internal and external catering arranged? Check! Workshop spaces booked at the Adler Planetarium? Check! Workshop participant hotel and flight reservations finalized? Check! Agenda having to be completely redone to fit everything in? Double check! By Thursday morning we were ready to roll. Laura kicked off the workshop by outlining the general landscape of citizen science and Zooniverse’s place within that landscape. 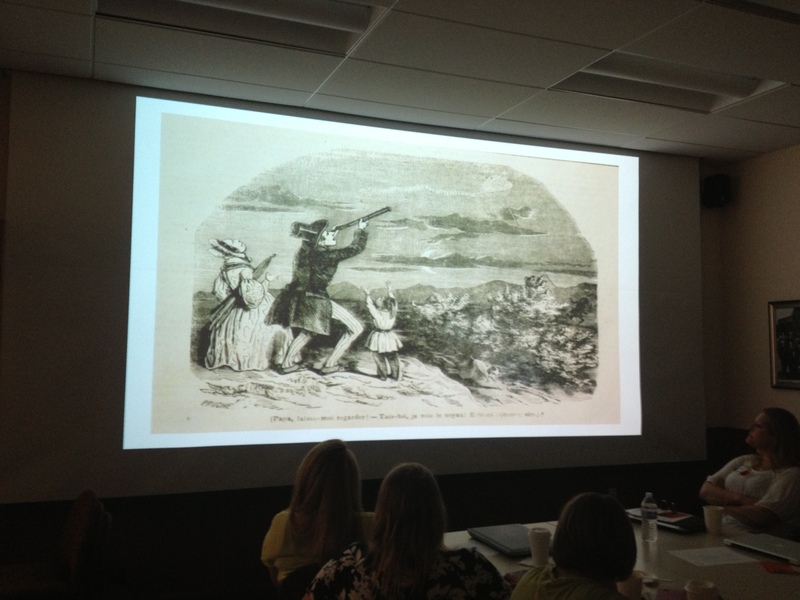 Citizen science is not a new idea, it’s been around for a long time. Arfon outlines how one project has grown to more than fifteen in six short years. Arfon Smith, Zooniverse Technical Lead and Director of Citizen Science at the Adler Planetarium, then overviewed the rise of a little project called Galaxy Zoo and the development of the Zooniverse as a collect of online citizen science projects from across a wide variety of scientific disciplines. Next using Snapshot Serengeti as an example, I led workshop participants through the process of creating a Zooniverse project from submitting a proposal to the the Citizen Science Alliance to collaborating with Zooniverse developers and designers to build the website. 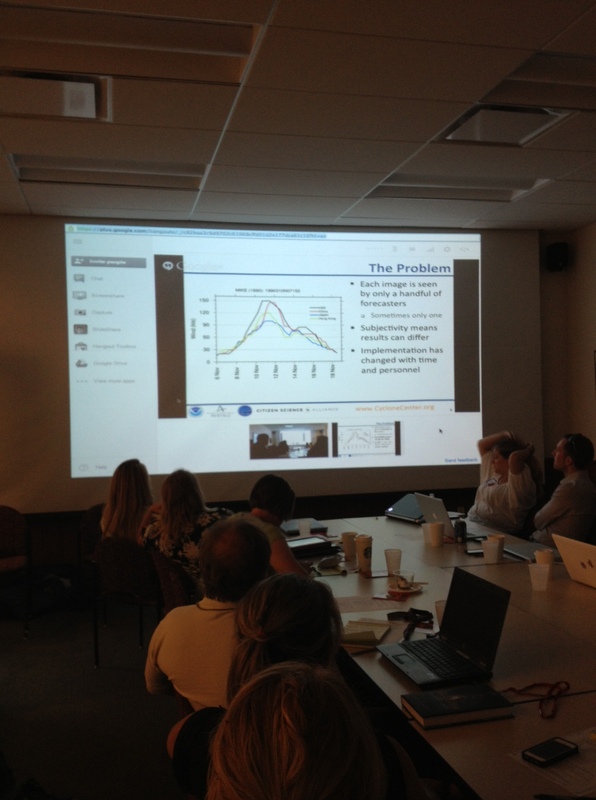 Throughout the first day workshop participants heard from science teams from several Zooniverse projects. Scott Stevens from Cyclone Center, William Keel from Galaxy Zoo, Chris Lintott from Planet Hunters, and Jessica Luo from an upcoming project about plankton all discussed the science behind their projects. A slide from Scott Steven’s talk about Cyclone Center explaining limitations behind historic measurements of tropical cyclones and how Zooniverse volunteers can help. 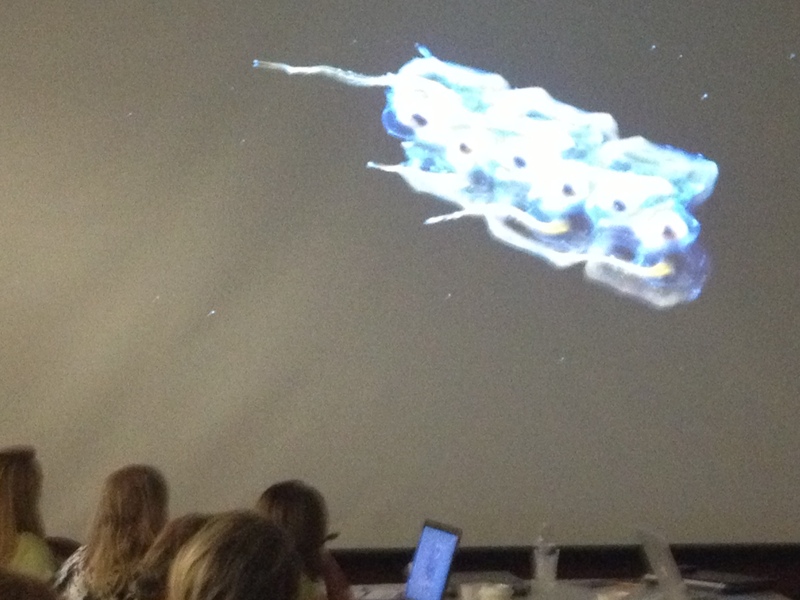 A sea drifter from Jessica Luo’s talk about a soon to be launched project about plankton. In addition to learning about the history of the Zooniverse and hearing the stories behind a selection of projects, we also took the opportunity to introduce some of the new educational resources we’ve been busy developing. Jen Gupta introduced ZooTeach and demoed a lesson from the upcoming Planet Hunters Educators Guide. 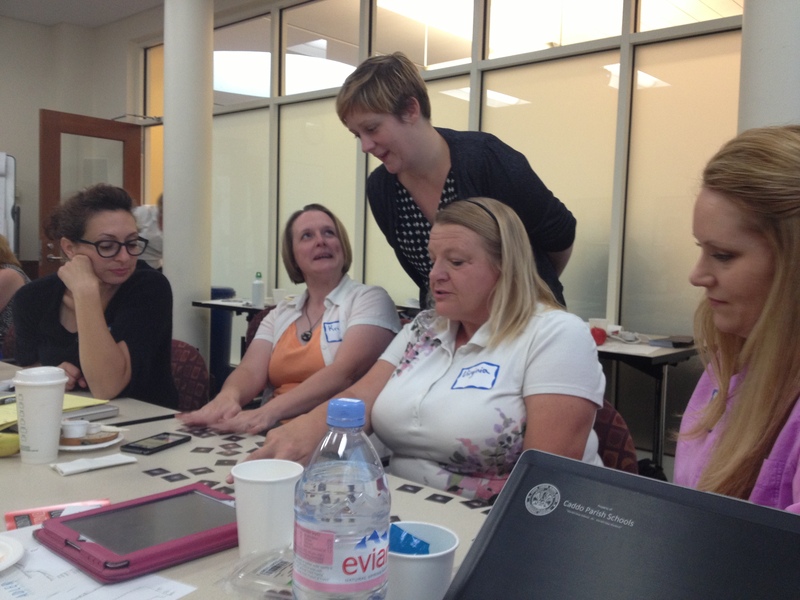 Laura led an interactive activity using the Galaxy Zoo Navigator. 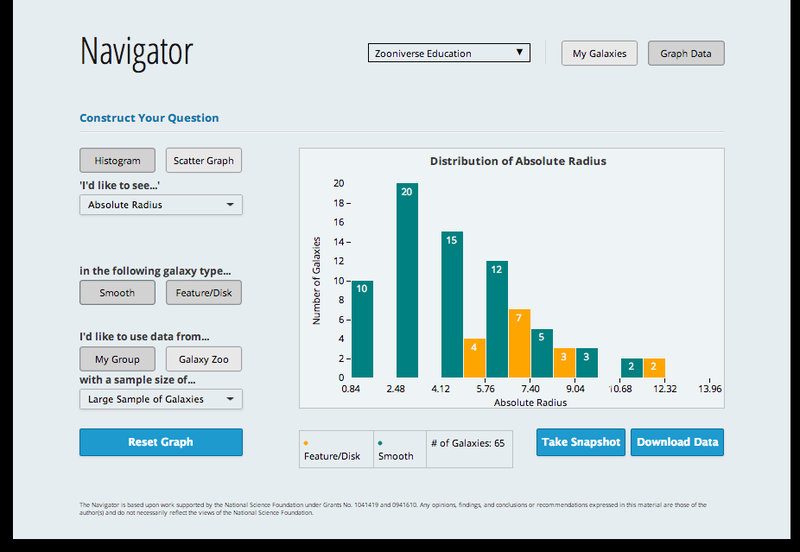 This tool allows students the ability to classify galaxies as a group and then probe the data a bit further with some simple graphing tools. After an evening of Mexican food we were ready to move into the final day of the workshop. Day two was a whirlwind of continuing discussion about tools to bring Zooniverse projects into the classroom and more behind the scenes looks at projects. Julie Feldt, Zooniverse education intern, and Karen Masters, Galaxy Zoo project scientist ran a prototype program aimed at giving students a chance to interact with a Zooniverse scientist through structured activities and discussions through Google Hangouts. Teachers create their own galaxy classification schemes during Julie and Karen’s Google Hangout. Aprajita Verma from the Spacewarps (http://spacewarps.org/) science team gave a terrific talk all about how Zooniverse volunteers are searching for gravitational lenses. Adler Planetarium educator Andi Nelson led teachers through an amazing session of constructing lesson ideas using Zooniverse projects that map to the recently finalized Next Generation Science Standards. 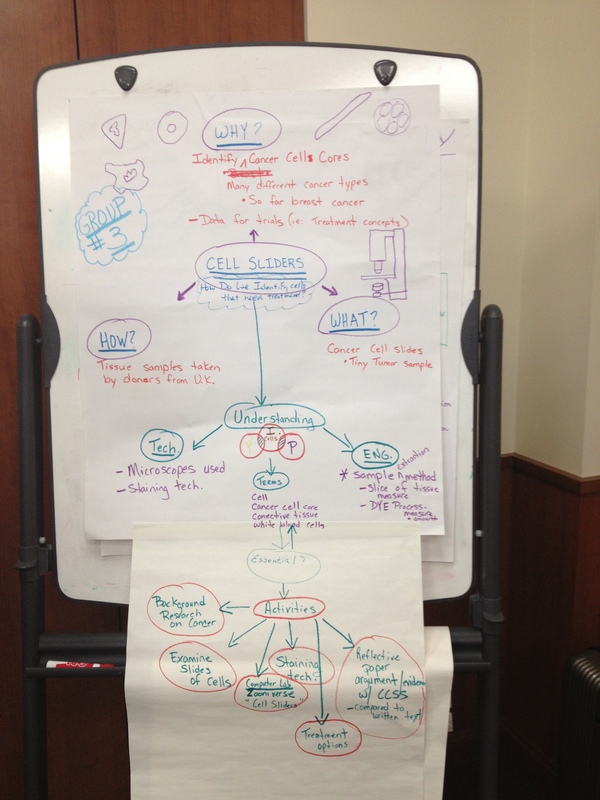 One group’s plan to use Cell Slider as the focus of lessons structured around the NGSS framework. By the end of day two, workshop participants were brimming with ideas to share! As homework, each person will create an educational lesson or resource aimed at using a Zooniverse project with students. We will post these in ZooTeach. The teachers will also each be writing a blog post, so you can hear directly from them about their experiences with citizen science. Science teams scattered around the globe make for some agenda setting nightmares. But totally worth it! Don’t get cocky and let your guard down after a smooth day one. Coffee available all day, every day is always the way to go! 8:30am-5:30pm – too long of a day. Teachers are always early, be prepared! Two days isn’t enough, a little longer is better. 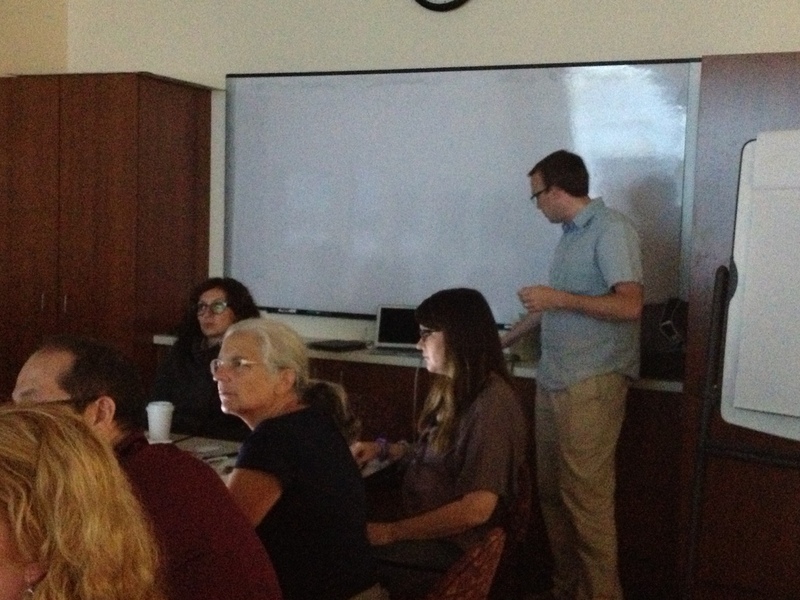 We’d like to thanks everybody involved in the Zooniverse Teacher Ambassadors Workshop! We were so lucky to spend two days with such talented and passionate educators. The science team members all gave stellar talks and we’re grateful to all who participated. Also a special thanks to all of the staff at the Adler Planetarium that made this workshop possible. We’re hoping to do this again! Have you got your students whirling with excitement over Cyclone Center ? Are they positively passionate about Planet Four? Here in Zooniverse HQ, we like nothing better than hearing from teachers and educators about how you’re using Zooniverse projects in your classrooms and other learning environments. Over the last year we’ve traveled to several conferences and meetings and heard about all kinds of innovative ways that teachers have put Zooniverse projects to use with their students. We need you to share your amazing ideas! 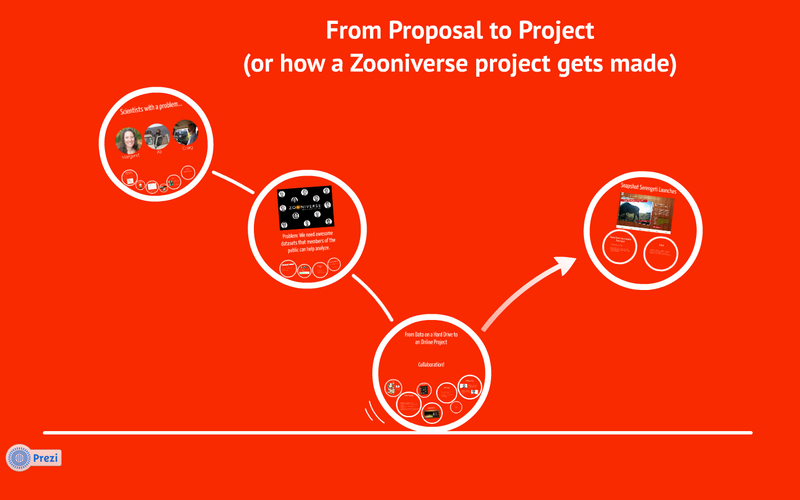 ZooTeach is a companion website to Zooniverse containing lessons and resources aimed at helping teachers bring Zooniverse projects into their classrooms. Anybody can upload and share activities; you only need a Zooniverse login to contribute. This fall we’ll have several new lessons and activities created as part of the Zooniverse Teacher Ambassadors Workshop to share with you. We hope that you’ll consider sharing some of the ways that you’ve found to bring citizen science into your classroom or check-out ideas from other educators.